This year is the 30th anniversary of one of the capital’s most beloved tourist attractions, Mini-Europe. Special events take place throughout 2019, with this week a new addition to the miniature monuments having appeared. 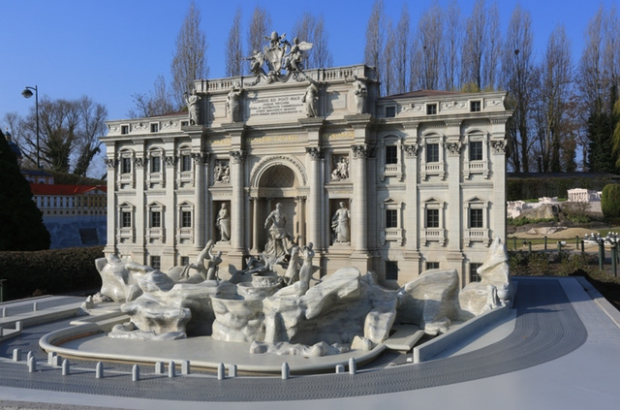 Rome’s glorious Trevi Fountain – if you haven’t seen it in real life surely you’ve seen it in La Dolce Vita – joins other Italian architectural comrades in the European mis-en-scene. Visitors will also notice that the park’s editions of Leuven city hall and the Beethoven House have been smarted up. You might have to squint your eyes to see some other new additions: Pieter Bruegel the Elder can be spotted working on “The Fall of the Rebel Angels on Grand Place, while Jan Van Eyck is painting a tiny Ghent Altarpiece. A bit further is Peter Paul Rubens applying the finishing touches to “Descent from the Cross”. Next month Mini-Europe will unveil a new installation that lets you test your knowledge of the European Union. The park honours the Age of Englightenment with new scenes from the Arc-et-Senans and Bath featuring such enlightened luminaries as Newton, Voltaire, Diderot and Adam Smith.